The Seattle Mariners' offense, which has been really potent, met its match Saturday night at T-Mobile Park. 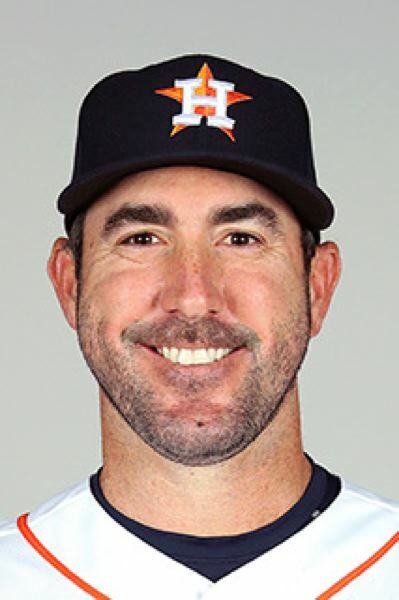 Justin Verlander gave up two hits and one run — a homer to Mitch Haniger, extending Seattle's consecutive game record for a homer to start a season to 17 — while striking out 11 and walking none as Houston beat Seattle 3-1. The Mariners were held to only four hits and were held under six runs for only the third time in 17 games. Robinson Chirinos (third inning) and Jose Altuve (fifth inning) hit solo homers off Felix Hernandez, who pitched well. He gave up six hits and three runs while striking out five and walking one in six innings. Haniger went deep against Verlander in the fourth inning, extending the Seattle major league record. The Mariners (13-4) lost consecutive games for the first time this season, and Houston (10-5) gained ground on them in the American League West Division. The teams play at 1:10 p.m. Sunday, as the Astros go for the three-game sweep. Marco Gonzales (4-0, 3.16) pitches for Seattle opposite Gerrit Cole (0-2, 3.32).